If you’re a body builder, you might be familiar with eccentric training. It seems to be a popular method for building mass. However, studies increasingly show the effectiveness of eccentric training for a host of injuries, and for combating the aging process. Our muscles literally act as springs during eccentric contractions. Up to 50% of all the energy needed to accelerate/lift the body can be reclaimed from the eccentric/muscle-lengthening phase of the stride! 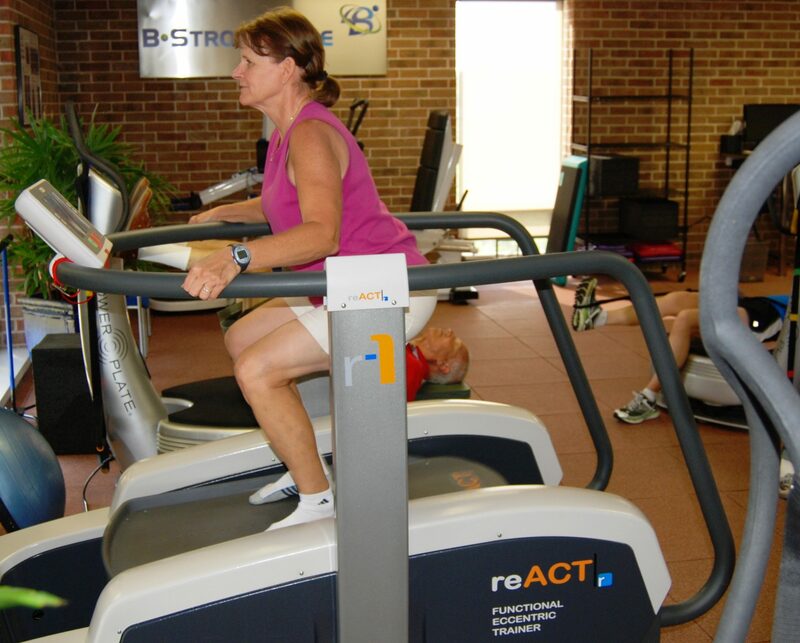 The eccentric muscle function is the easiest to lose and the hardest to strengthen. This muscle function is why toddlers fall (the function is not yet fully developed), and why, as you age, you trip and fall more easily. Eccentric Training is training that part of your muscle that acts as your safety mechanism and prevents injuries. That “safety mechanism” of your muscle is what prevents you from falling down the stairs, and how you “catch” yourself if you trip or stub your toe. This function of your muscle prevents injuries and is what enables you to not fall. Efficient and low risk eccentric training is impossible to do using conventional exercise equipment. That is why we use reACT? and Eccentron, two unique pieces of eccentric training equipment. Can I Find Out More About Eccentric Training?